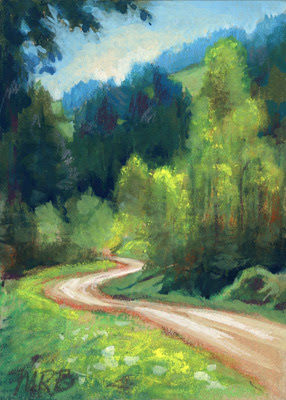 This is my second submission for the German Landscape Challenge, hosted by Carol Marine and Daily Paintworks. When I am painting, I feel as if I'm at the movies. With every stroke, I become a part of the scene, enjoying all the sights and sounds. I am the director and I like happy endings!